Content writing and editing jobs, web design and development, project management, content strategy and creation, marketing, admin and support roles. From time to time, I post job openings here when we’re in need of assistance in one of the above (or other) areas. Keep your eyes peeled and ears to the ground for exciting career opportunities here at Filmmaking Lifestyle! Didn’t find what you were looking for? 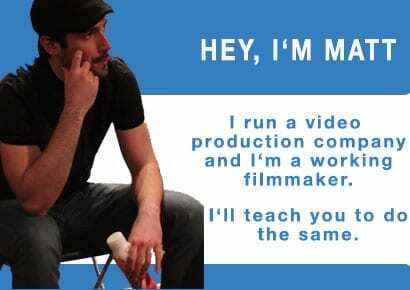 Here’s a list of other film/video job resources. How can I find out about future job openings? Connect with us through Facebook, Twitter or our newsletter. That’s where we post first. You’ll be the first to know. We also promote openings on this page (and job sites) from time to time. Not sure what you want to do with your career? Watch this. It’s really really good. Note: Hat tip to Orbit Media for the ideas for the above page.